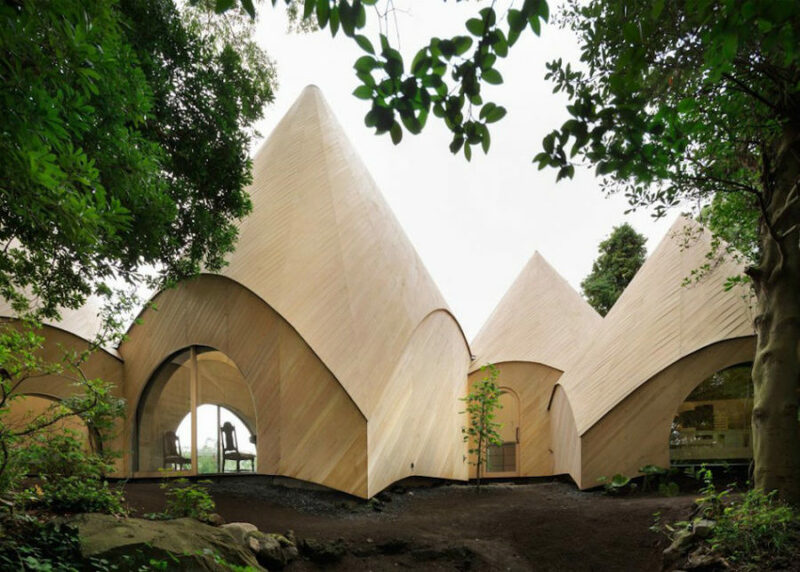 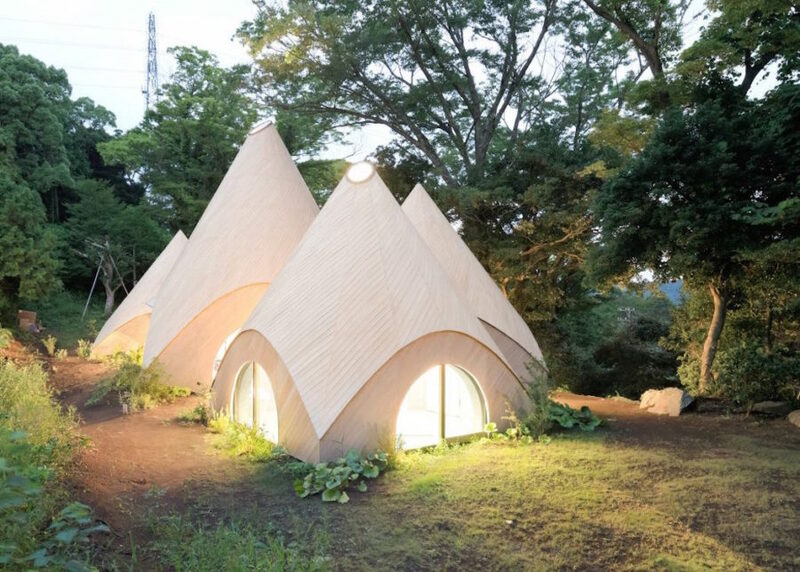 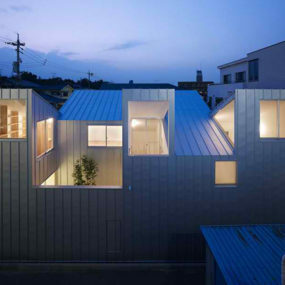 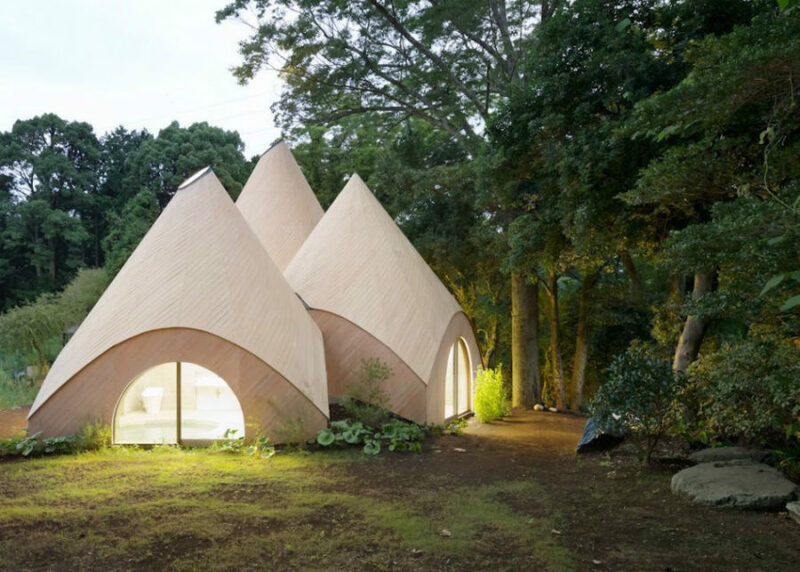 Issei Suma built a five-building home complex for two ladies in their 60’s in a Japan’s Shizuoka Prefecture called Jikka in a form of modernized teepees. 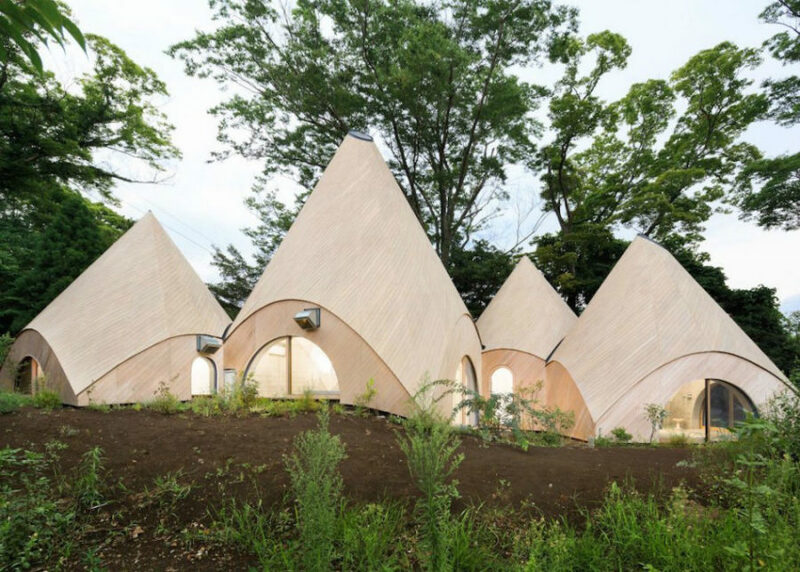 The teepee-shaped home complex serves as a home and workplace for a social worker and a cook, who facilitate food delivery service for older people as well as provide nursing care to those with disabilities. 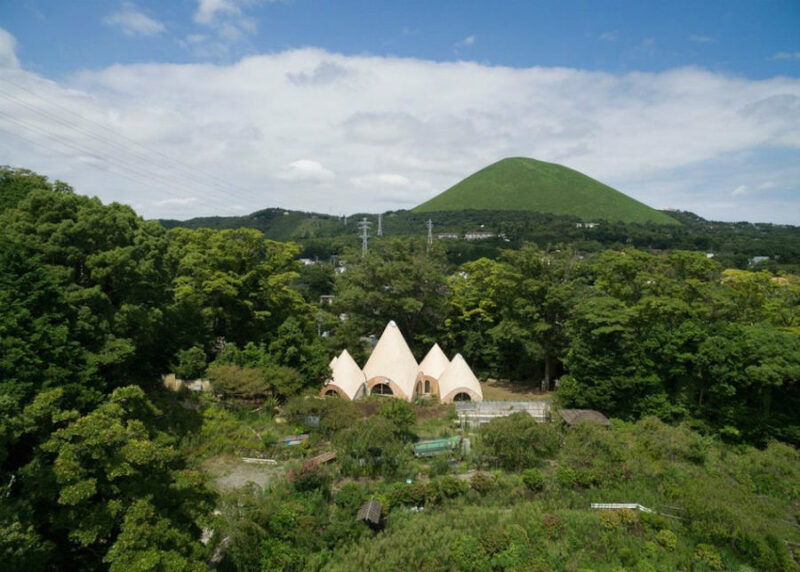 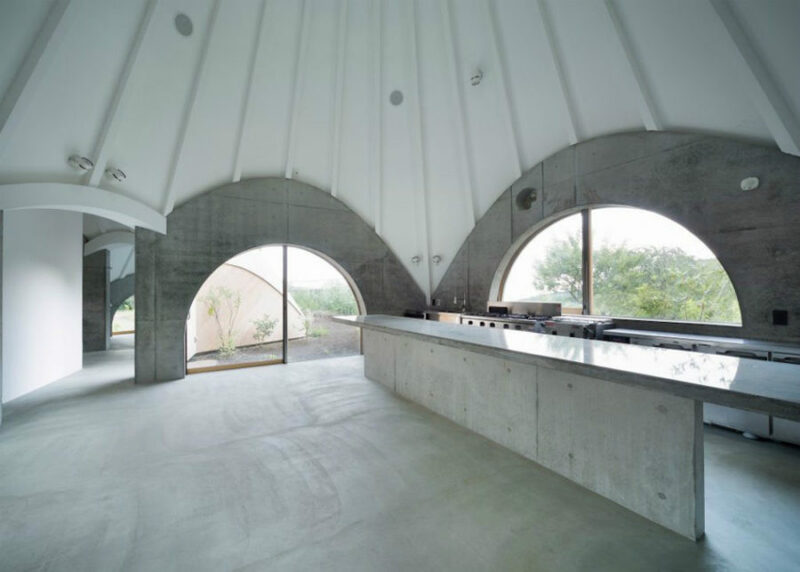 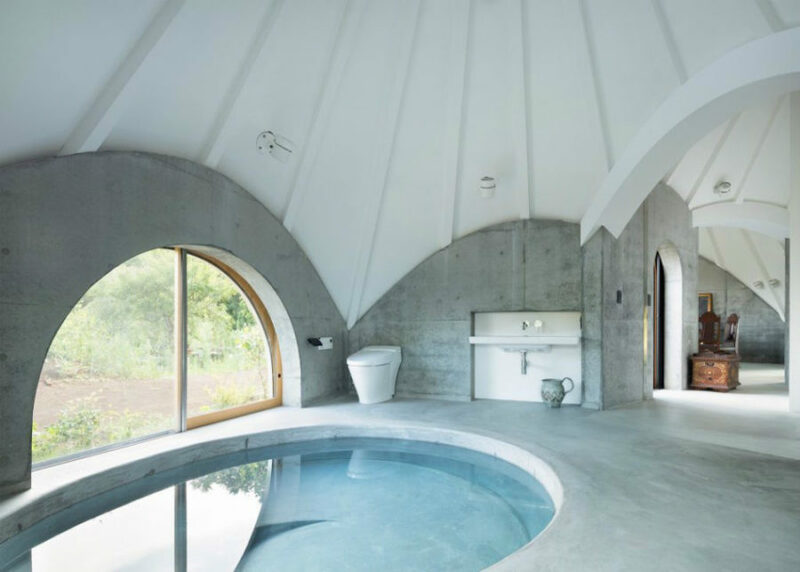 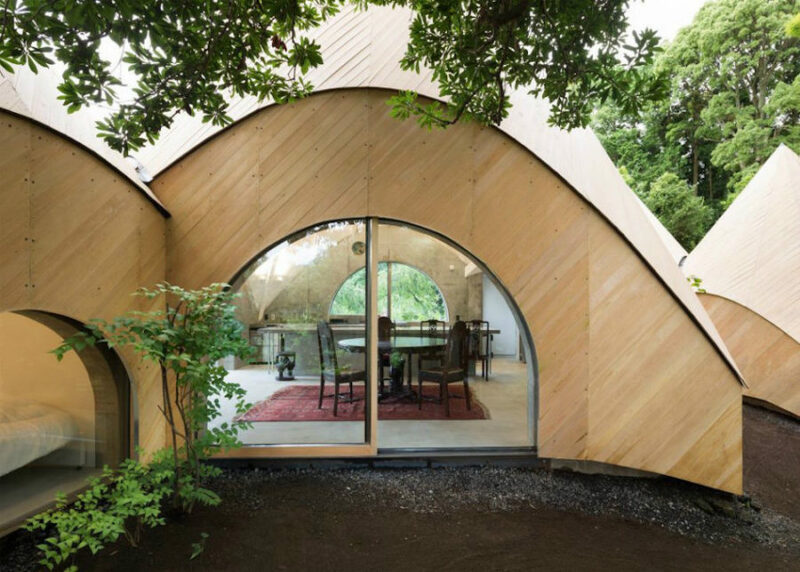 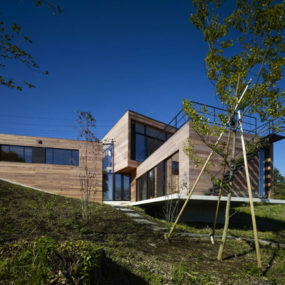 Small structures appear from the Shizuoka hilly green landscape as conical mushrooms with a light wood siding and numerous glass sliding doors, connecting the ascetic interiors with the lush outdoors. 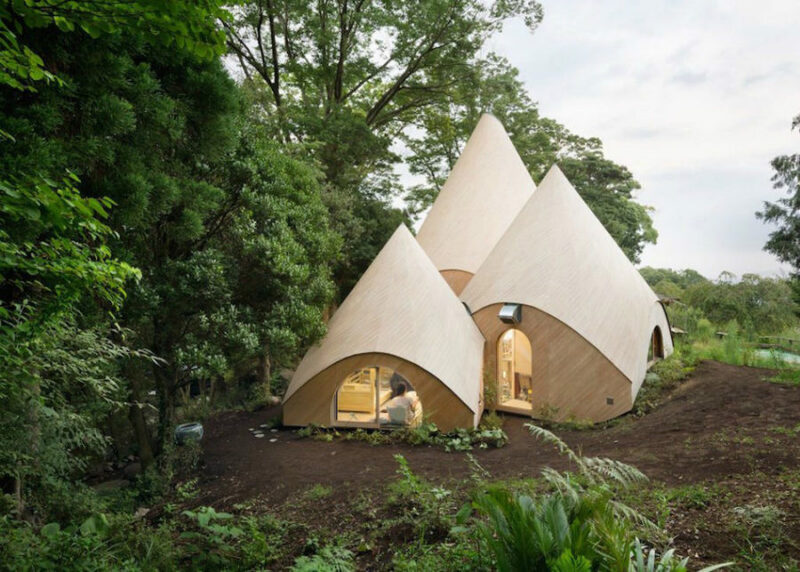 Although each individual teepee seems rather small, together the complex amounts to generous 100 square metres (1076 sq. 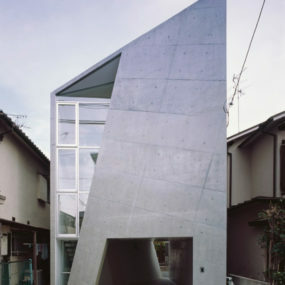 ft.). 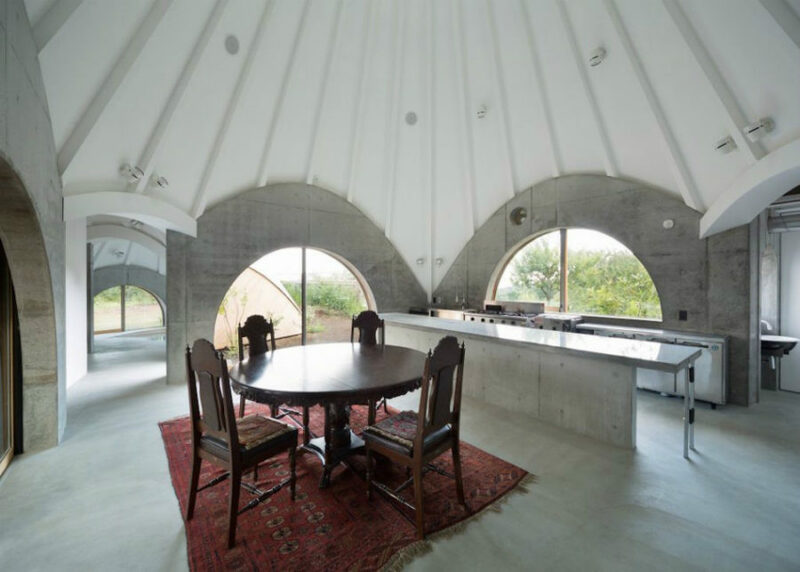 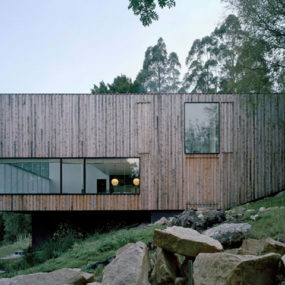 Inside, there is a spiral paddling pool and a spacious kitchen with a huge concrete island and a cozy dining area. 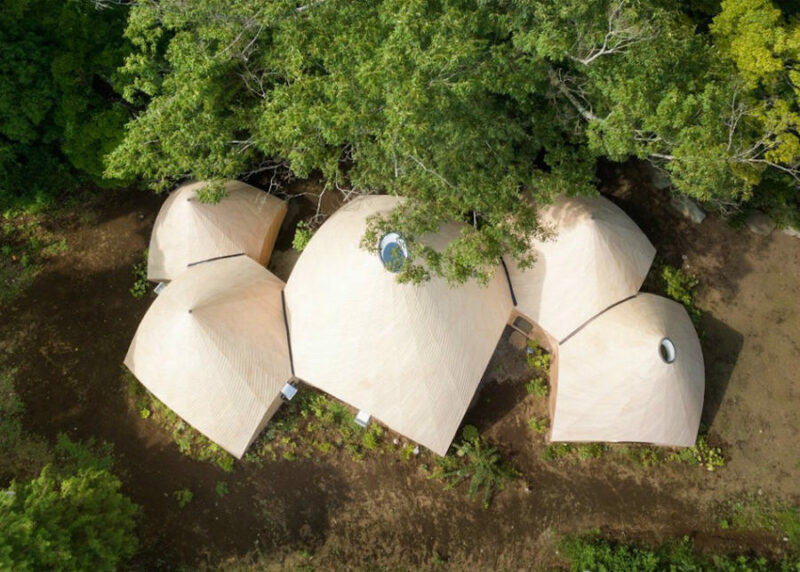 Each teepee block has its own function and purpose. 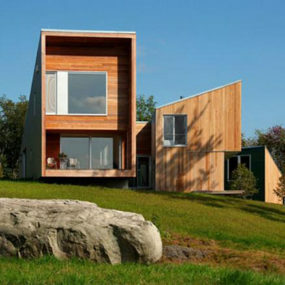 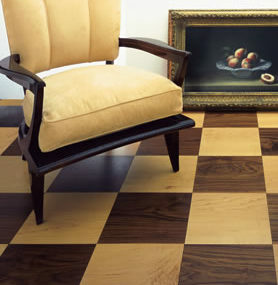 There are quarters for clients that include a shared bedroom, bathroom, and storage area. 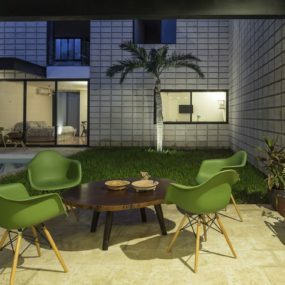 A guests block for two includes two beds, and the bathroom block that features a pool. 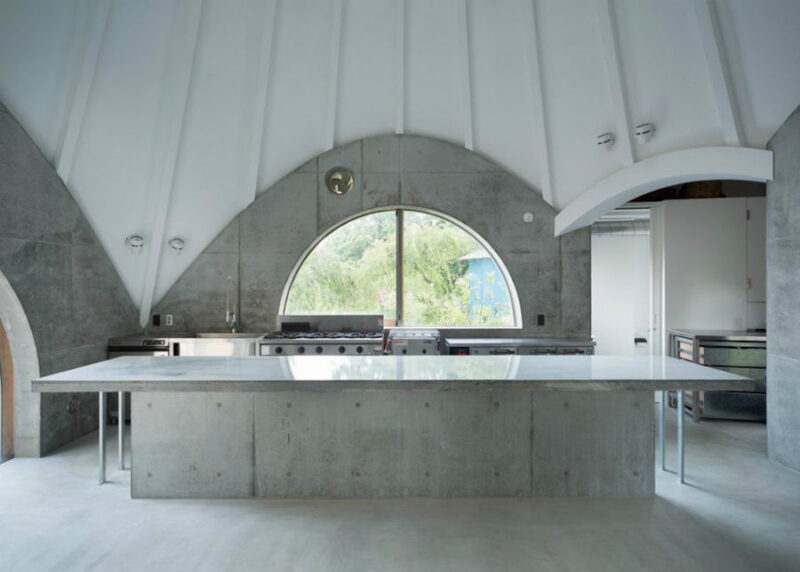 The kitchen occupies the largest teepee. 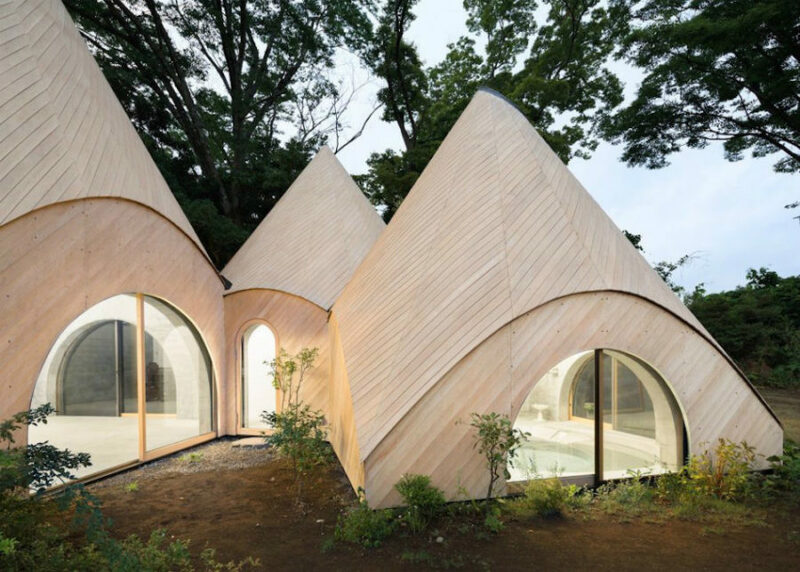 Though small, it’s probably the best retirement home we’ve ever seen. 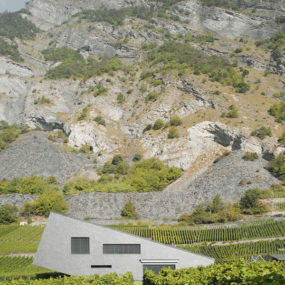 And its scenic location definitely adds to the unusual architecture that doesn’t even appear to be of human origin.